OF THE ORGANISATION Pixel is an education and training institution based in Florence (Italy). Pixel was founded in 1999. Pixel’s mission is to promote an innovative approach to education, training and culture, this is done mostly by trying to exploit the best potential of ICT for education and training. Pixel has a permanent staff of 15 people and a network of about 100 external professionals and trainers that cooperate with them on specific activities. Pixel delivers training initiatives addressed to staff of public authorities in 30 different European countries in the following fields: European Cooperation, Project Planning, Project management. Pixel organizes training events addressed to university and secondary school teachers of 30 different European countries in the following fields: ELearning; New Technologies for Teaching, Foreign Languages, Arts, Sciences, History, European Cooperation, Project Planning, Project Management. Pixel delivers training programs for managers and entrepreneurs in the areas of: Quality, Management, New Technologies, Information Technology, Foreign Languages, Tourism. Pixel has developed strong co-operation agreements and partnerships, all over Europe, with training organisations, educational establishments, research and development centres, public authorities etc. Pixel has significant experience in the field of European cooperation and transnational collaboration. Pixel has been / is currently involved in about 90 projects financed by the European Commission in the framework of the following programmes: Socrates ODL; Socrates Minerva; Socrates Grundtvig; Socrates Lingua; Socrates Comenius; Leonardo da Vinci; eLearning; Lifelong Learning. Pixel has coordinated / is coordinating over 50 training projects at regional level, funded by the European Social Fund. Of those projects: 22 were developed in the field of in-company training; 10 were developed in the field of training for youth to support their entrance in the labour market; 8 were developed on the field of equal opportunities. Pixel quality system was certified compliance with the standard UNI EN ISO 9001:2000. Pixel is accredited by the Italian Ministry of Education with legislative act of 25/7/2006. Pixel is accredited by the Tuscan Regional County with legislative act number 1722 of 25/3/2003. Pixel is accredited by the Ministry of Health and in this role provides officially recognised qualifications for those working in the medical sector. 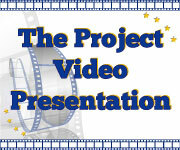 More information about Pixel’s expertise can be found on Pixel web site at http://www.pixel-online.net. European “Safer Internet” Programme : project “POESIA”, funded by the European Commission (DG Education and Culture). The project aims to promote the safe use of the Internet in schools creating a software which filters unsuitable contents for young students. European Life Long Learning Programme KA2 Sub Programme: project “NELLIP”, funded by the European Commission (DG Education and Culture). 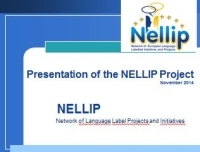 The project aims to build a Network and promote dissemination and sustainability of projects and initiatives that received the European Language Label. European Leonardo da Vinci Development of Innovation Programme: project “Heppy”, funded by the European Commission (DG Education and Culture). The project aims to train Health sector professionals to develop an holistic and patient centred approach to Homecare assistance. EXPERIENCE AND EXPERTISE OF THE ORGANIZATION IN THE PROJECT’S SUBJECT AREA Pixel was involved in several European project that had as their main aim the creation of historic databases. These are for example, the Multimedia History Memorial Project, the Routes Project and the History On Line project. All of them were coordinated by Pixel. One of them was funded by the Socrates programme and two were funded by the Lifelong Learning Programme. More information and web site address are available above in the Experience on European Projects section. CONTRIBUTIONS THAT CAN BE PROVIDED TO THE PROJECT Pixel will be in charge of supporting the project management, of the organization and assessment of quality and evaluation issues as well as of dissemination and exploitation. These activities will be carried out on the basis of the 12 years experience in the field of Pixel and of the 18 years’ experience in the field of its president, Elisabetta Delle Donne. CONTACT PERSON’S EXPERIENCE AND EXPERTISE Elisabetta Delle Donne is the president of Pixel. She graduated in Political Sciences – International Affairs from the University of Florence in 1993. Since then she has constantly been working in the field of European cooperation. Elisabetta Delle Donne is an expert in the planning and management of European projects focusing in particular on the areas of education, training and culture. So far Elisabetta Delle Donne has been involved as project planner and manager in more than 100 projects funded by the European Commission. She has developed and coordinated partnerships with more than 400 bodies throughout Europe, including universities, public authorities, training organizations, schools, research centres etc. Elisabetta Delle Donne is often invited as a speaker or expert at International Conferences to present her European cooperation experiences and the European projects in which she is involved. 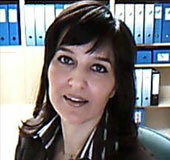 She is also the main trainer in the international seminar "European Project Planning and Management". She is also involved as external expert in quality management and external evaluator in European projects mostly funded by the Lifelong Learning Programme.